The commercial space race is on, but delays are inevitable. TAAAXI. It’s history in the making. Today, NASA announced the first commercial astronauts who will be piloting the first crewed test-flights aboard SpaceX and Boeing spacecraft. 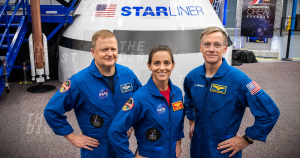 Two teams of astronauts will be boarding a Boeing Starliner spacecraft launched on top of an Atlas V rocket and a Dragon capsule atop SpaceX’s Falcon 9, respectively. The crews are made up of nine (all American) high-ranking engineers, NASA astronauts, Marines, and Air Force pilots. Among them is Doug Hurley, a Marine Corps test pilot who piloted the iconic Space Shuttle one last time back in July 2011. In fact, if all goes according to plan, these missions would be the first time American astronauts are launching from U.S. soil since the retirement of the Space Shuttle in 2011. ABORT, ABORT. It’s a momentous occasion that is setting the groundwork for the future of commercial space travel. But there’s an elephant in the room that is somewhat souring the occasion. Just a day earlier, Boeing announced it had to delay the first uncrewed test flight after an abort engine issue forced a test to be cut short back in June – although it’s still unclear if it was the main cause for the delays. As a result, the first crewed test had to be pushed back to the summer of 2019 as well. The Commercial Space Race is really starting to heat up. Amazon and Blue Origin founder Jeff Bezos is aggressively increasing the funding of his spaceflight company, According to Reuters. Blue Origin’s primary objective right now: get a new heavy-launch vehicle called New Glenn into space within the next two years. SPACE TRAVELING IN STYLE. Despite these delays, astronauts have a far more comfy ride to the International Space Station to look forward to – way more comfy than the cramped Soyuz spacecraft still in service today, despite the fact that its designs date back to the 1960s. Boeing received $4.2 billion for its Commercial Crew Transportation Capability program in 2014, while SpaceX got $2.6 billion at the same time. The goal: to develop the first generation of commercial (manned) spacecraft, finally bringing space travel into the 21st century. Both Boeing’s Starliner and SpaceX’s Dragon can fit up to seven astronauts (depending on cargo) — the Soyuz spacecraft still in use today can only carry three. The Starliner is even equipped with wireless internet for some (much-needed) in-flight entertainment. It can even stay docked to the ISS for 210 days, giving it the potential to serve as astronaut quarters. ALL IN GOOD TIME. It’s still not entirely clear when SpaceX’s Dragon spacecraft will go on its first manned test flight. In fact, SpaceX’s official website still predicts the first manned test flight to take place “as early as 2018.” But when the time comes, astronauts will be able to enjoy environmental control and chose comfy onboard temperatures between 65 and 80 degrees Fahrenheit (18.3 and 26.6 Celsius). 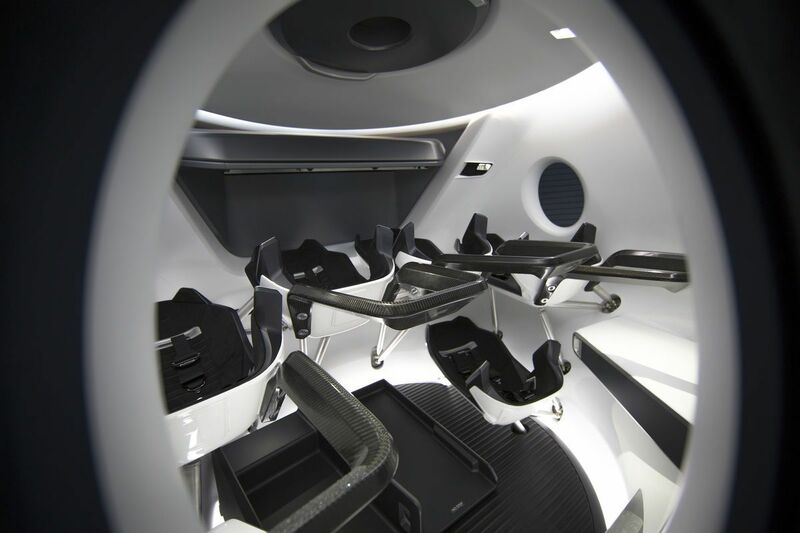 Even in the worst case scenario, the Dragon’s emergency escape system will gently push astronauts out to safety “experiencing about the same G-forces as a ride at Disneyland” according to SpaceX’s official website. The future of commercial space travel is looking bright, but not all systems are go. engineers have their work cut out to ensure the safety of the first nine brave astronauts. But the clock is ticking. Blue Origin Is Testing Reusable Rockets. Here’s Why You Rarely See Them.